We all know what role technology or “smart” devices and software play in our lives these days. Technology is fun when used for leisure sure, but when it’s used to do god for the world and save you money everybody wins. With some of the new innovative green heating and cooling technologies and systems like those from Mairathon Cooling and Heating, you can do just that. First, let’s discuss some of the benefits of using green technology for your heating and cooling needs. When you compare the old or what the industry calls standard heating and cooling systems with the latest systems that are considered “green”, you’ll find the green ones to be more efficient which saves you money as well as much better for the environment since they eliminate greenhouse gasses. These systems can really make an impact both for the earth and your bank account. Heating and energy make up of 56% of your homes energy use, according to the United States Department of Energy. Regarding green heating and cooling systems, they have two categories. The two types of systems are active and passive. 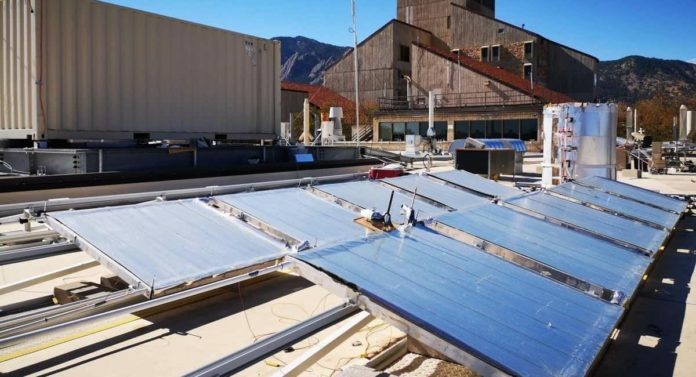 An active green heating and cooling system will run on mainly geothermal and solar power while sometimes using other sources of green energy. They come in a wide array of heating and cooling systems as well. When it comes to passive systems they use nature to do the work. What that means is you don’t need air conditioners or furnaces to cool or heat your environment. This is achieved by the way a home or structure is constructed. They utilize rooftops that are light colored or plain white. This helps reflect the energy from the sun and not absorb it. In turn, you don’t use or need as much energy to keep your house cool in the hot summer months. Another caveat of using a passive system design is that the windows keep cold air in and hot air out. What are Some of Today’s Most Innovative Technologies? Geothermal systems utilize heat pumps that are powered by geothermal heat wells underneath the ground. The heat pump both keeps the house warm in the winter and cold in the summer. Biomass systems basically use natural or living things such as plants or trees to absorb the suns energy and it’s converted to heat energy. Biomass doesn’t release any harmful gasses when it’s burned either. Now, you can cool your home or office with the use of an air conditioner powered by ice. This system converts water to ice and then uses it to run your aircon. This may not seem innovative but wind can be used to generate heat. However, you don’t need the huge windmills like in the Palm Desert to do it anymore. Thanks to some students at Oregon State University you can use a tiny wind turbine to power a water heater. The little turbine simple needs to be in a place where there is sufficient wind. Previous articleApp Review: What is Weedmaps?